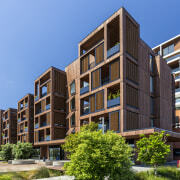 Natural first – the timber Pavilion building is the closest of three building types to the water at Wynyard Central and overlooks a park which was also reworked by the development architect Architectus. 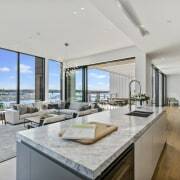 Nothing exists in isolation and that’s certainly true of Wynyard Central in the Wynyard Quarter, on Auckland’s waterfront, developed by Willis Bond and designed by architectural firm Architectus. 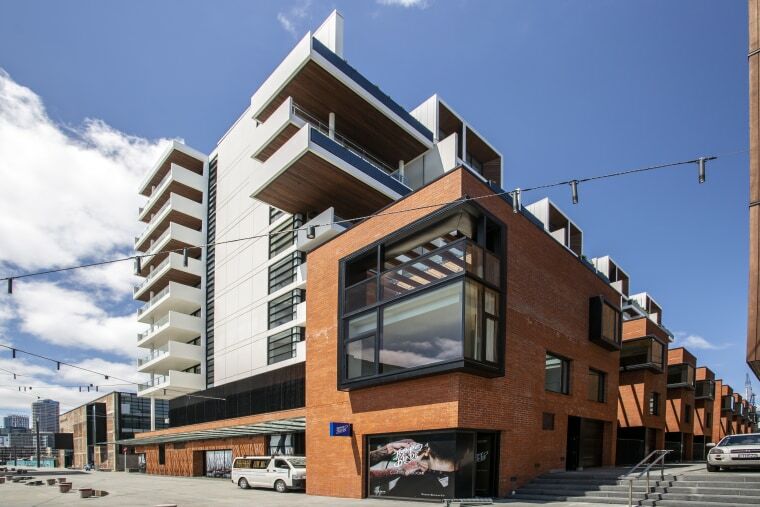 This kind of upscale development has already been a success story for Willis Bond & Co, with the developer having been heavily involved in the praised redevelopment of the Wellington waterfront. Director of Willis Bond Roger Twose says one of the reasons Architectus was brought on board for Wynyard Central was because principal Patrick Clifford had been involved in the visionary master planning for the wider, high-profile brown field site – one of the largest urban revitalisation programmes ever undertaken in New Zealand. This was documented in Wynyard Precinct: Urban Design Framework. 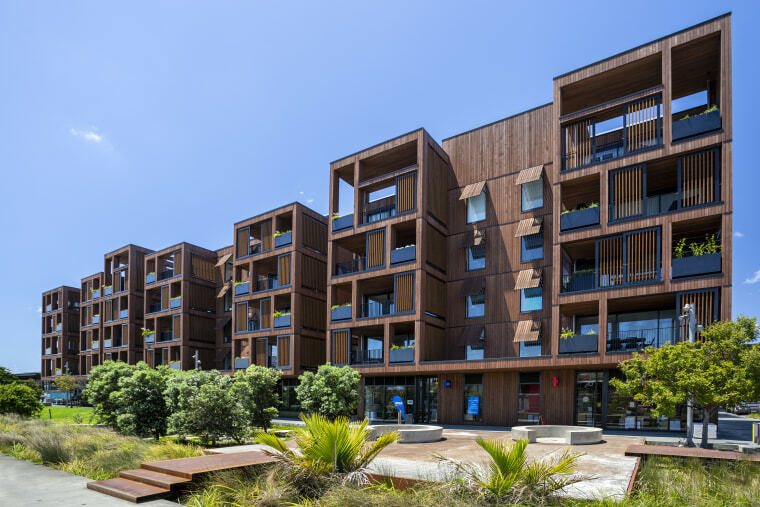 Led by the major landowner Panuku Development Auckland, the vision was for ‘a mix of residential, retail and commercial development to enable the growth of a strong, diverse, resilient and vibrant residential and business community’. More than 500 new homes over five residential sites are being introduced to the precinct as part of this future planning, and Wynyard Central provides 113 of these. In fact, Wynyard Central contributes to the revitalisation of the Wynyard Precinct in two ways. 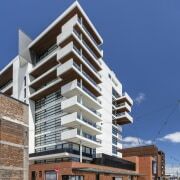 It offers a mix of inner-city residential options and also improves and opens up street connections and a park in the waterfront precinct. Proportions as well as materials are echoed across all three buildings at Wynyard Central, giving them a subtle harmony. 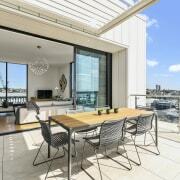 Wynyard Central provides three principle housing types – each within a defined building style. The Pavilions, set closest to the water, are comprised of three distinct, freestanding buildings overlooking Daldy Street Park, which was also expanded and revitalised by Architectus. And Daldy Street itself was reopened as part of the project. The Pavilions have timber facades, appropriate to the park directly in front of them. 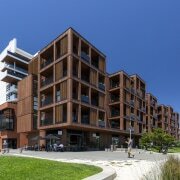 The light, airy Pavilions are on a modest scale and, with only three apartments per level, offer low density living. 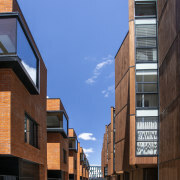 They’re accessed off a newly formed rear lane which also fronts the Townhouses set lower behind. 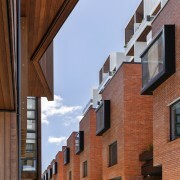 The Townhouses are to an extent a modern interpretation of traditional mews homes seen in Sydney, Melbourne or London. Nestled between the Pavilions and much taller Apartments building, they offer something of a tucked-away, urban oasis. 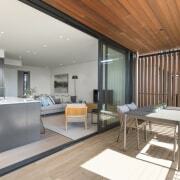 “The row of eight Townhouses are clad in brick and feature planted roofs and flexible ground floor spaces suitable for home offices – adding another aspect to the residential offering,” says Patrick Clifford. 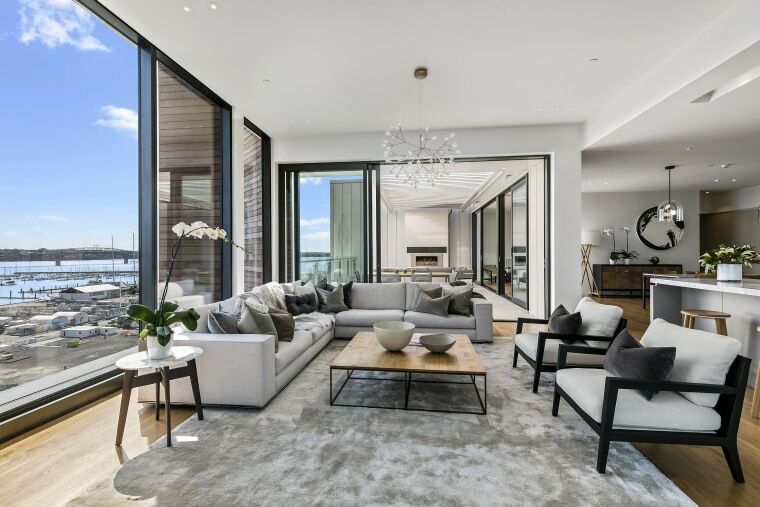 The Apartments residences at Wynyard Central are light-filled and spacious with full height glazing front and back in most cases. The Apartments building is the largest of the three elements, although this was not taken up to its full permitted building height. 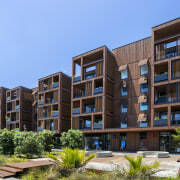 “The Apartments building connects visually with the neighbouring Southern Spas character building, while wood accents also connect them to the Pavilions. Generous-sized cantilevered terraces feature and translate into generous decks while the floor-to-ceiling sliding glass doors create relaxed indoor-outdoor living for residences. 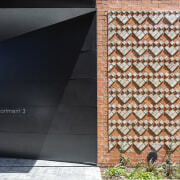 “Residential architecture in a city setting is about the people walking past as well as the home-owners, and these expansive terraces will provide a degree of activity for passersby,” says Clifford. Through material links, sympathetic proportions on some elements and of course sheer proximity, the various building styles achieve a connected identity – minimising their bulk and contributing to the Wynyard Precinct as a character destination. 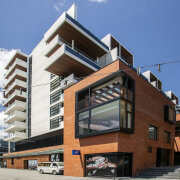 And – standard in modern, quality developments – sustainability was also an important factor. The Pavilions attracted an 8 Homestar rating. Contributing factors included, 95% LED lighting, Energy-star appliances, reduced water flow fixtures, in-apartment recycling, the choice of environment-friendly materials, efficient hot water systems and a high standard of sound insulation. Rainwater recycling is another feature. Roger Twose says Wynyard Central is already having a major impact on the area.